Buddy Miller And Jim Lauderdale On World Cafe : World Cafe Two treasures of Nashville's Americana scene play songs from their collaborative album, Buddy & Jim. Buddy Miller and Jim Lauderdale. 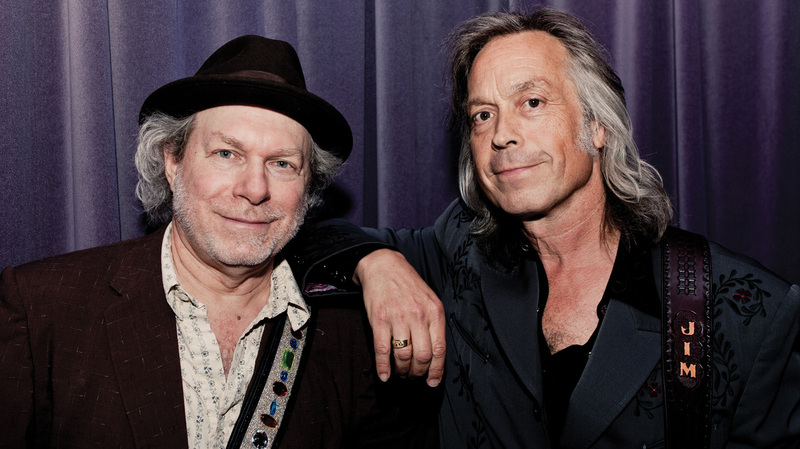 Buddy Miller and Jim Lauderdale have contributed to roots music to an immeasurable degree throughout their careers. As songwriters and players, both solo and together, they've led bands, worked as sidemen and written great songs. In this installment of World Cafe, Miller and Lauderdale tell the story of how they met back in 1980, and how that eventually led to the release of their first duets album, Buddy & Jim, which was recorded in Miller's living-room studio and released last year. They really do finish each other's sentences in this interview, which is spiced with their stellar full-band performances.